Bravo chose to film the second season, 2-part reunion finale of Shahs of Sunset at Taglyan Cultural Complex, which was split into two parts. Part 1 aired last Sunday and viewers have to wait for the conclusion on Sunday, 9/8c. 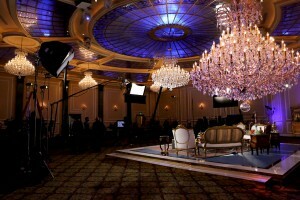 The elegant backdrop of Taglyan’s ballroom served as the meeting ground for host Andy Cohen and the cast of Shahs, which features a group of Iranian Americans living in Beverly Hills. Sunday’s episode reunited Asa and GG for the first time since their dinner-party-gone-awry. The cast dug deeper into the lifestyle choices of their group, including drug and alcohol addiction. The teaser for Part 2 revealed that MJ had a criminal past. Is she really a bank robber? For more details about the show, check out bravotv.com and take a look at the 2-part reunion photo gallery, which includes some lovely shots of Taglyan! Happy Valentine’s Day from Taglyan Cultural Complex!